Urinary Tract Infections (UTI) are a common and painful issue that older individuals face. Most UTIs are caused by bacteria from your bowels that enter other parts of your body. Once the bacteria enters your bladder it can multiply quickly and become what is termed a lower UTI. UTIs become more serious if they travel to one or both kidneys in what is called an upper UTI. Since the kidneys can be damaged in an Upper UTI infection it is important that UTIs get treated quickly and effectively. While women are more likely to experience UTIs, men’s risk of getting a UTI increases as they age. In fact, the population that is most likely to develop a UTI is the elderly. Elderly people are more likely to develop UTIs for several reasons. They are more susceptible to infection, are more likely to suffer from conditions such as diabetes, may use catheters, have an enlarged prostate, and may have mobility issues and or kidney stones all of which increases the risk of developing a UTI. Some common symptoms of UTIs include bloody urine, urgent and frequent need to urinate, pain or burning while urinating, low grade fever, night sweats, shaking or chills. It is important to note that elderly people with serious UTIs may not show any signs of fever because their immune system is not strong enough to fight back against the infection. In addition, UTI symptoms in the elderly include confusion, hallucinations, poor motor skills, dizziness and falling. In order to reduce the risk of developing a UTI one should drink plenty of fluids, drink cranberry juice, takecranberry tablets, and avoid caffeine and alcohol as they irritate the bladder. The most likely course of treatment for a UTI is with antibiotics which can help clear the infection quickly (source).At Sprain Brook Manor Rehab we understand the specific health risks that aging adults face. Our team of skilled nurses, doctors and therapists work hard to ensure that your loved ones will heal and be professionally cared for of while they reside with us. This post is provided by Sprain Brook Manor Rehab which Provides unique opportunity to recover from medical procedures that result in true satisfying results. Getting you stronger and better every day. Contact Us today to receive more information. As our loved ones age seemingly innocuous areas in their house, like stairs or doorways, can become dangerous obstacles. It is important that as our loved ones age or return from rehabilitation after a major health event that those risky places in their home are identified and made safe. Common household danger areas for the elderly include bathrooms, as bathtubs can be too high and showers can have an edge that is easy to trip over, doorways, as the threshold can be elevated, and stairs that may be too hard for aging adults to climb or are too steep to go down without the risk of falling. Every house is different and therefore carries its own risks that need their own specific safety solutions. Below is a list of home additions recommend from aging care.com that can keep your loved one safe and better able to function in their own home while they age. Walk in showers and tubs: Walk in showers and tubs enable seniors to avoid having to step over a high edge consequently reducing the risk of falling when they are getting in or out of the shower. In addition having non slip tiles or a built in shower bench can also make showering or bathing safer and easier for aging adults. Adding handrails and grab bars: Adding handrails and grab bars in hallways, bathrooms and even the kitchen reduces the areas where individuals may slip and fall as they have stable support to rely on when they are walking. Placing nonskid strips in slippery places: Placing non-skid strips in areas that are more likely to get wet, such as the kitchen and bathroom, is a preventative measure that increases walking safety. In addition, adding nonskid strips to stairs can prevent a life threatening fall from occurring. Stair lifts and home elevators: Adding a stair lift to two story houses or an elevator to a multi-story house can be the difference between an elderly adult making it up the stairs or being bound to only reside on the lowest floor. These home additions are not only important because they add safety, they are important because they enables the resident to be able to utilized their home to its full capacity and feel comfortable doing so. 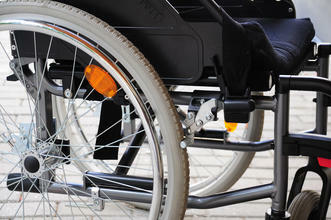 Sprain Brook Manor rehab understands the importance of staying as independent as possible while living in comfort. 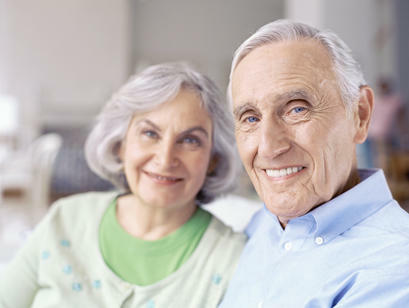 We offer rehabilitation and short term care for the Westchester, Yonkers and tristate area. We are one of the best rehab centers in Scarsdale because we take care of people and not just symptoms.This post is provided by Sprain Brook Manor Rehab which Provides unique opportunity to recover from medical procedures that result in true satisfying results. Getting you stronger and better every day. Contact Us today to receive more information.Disclaimer: The information provided in this post in not intended to be construed as health advice, nor should it be considered a substitute for obtaining individual medical counsel or consulting your physician.